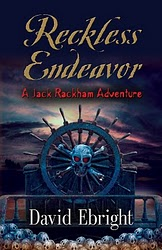 I am the author of 2 YA novels, both part of the Jack Rackham Adventure series. Hoping to release the third late summer 2011. 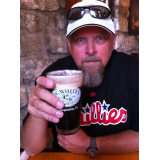 I live in the haunted seaside town of St Augustine Florida - making me "The Haunted City Writer"
For fifteen-year-old Jack Rackham, a descendant of the notorious pirate Calico Jack, it was supposed to be a relaxing summer of great surfing, exploring the Ancient City and adventures on his very own boat, Bad Latitude. His discovery of a three hundred year old diary changed all of that. When the secrets of the old book are unraveled, Jack enlists the help of his best friend Kai, and together, they begin the dangerous search for the hidden fortune buried beneath the abandoned burial grounds of Rattlesnake Island. Digging under the light of the full moon, the boys are unaware that a terrifying menace waits in the darkness, determined to prevent their escape. Supernatural guardians of the island are clawing and dragging their way through the snake-infested marsh grass, surrounding the pair, working to create a deadly ambush, while offshore lurks a mysterious ship, shrouded in an eerie green fog, flying the flag of the long dead Calico Jack Rackham. riches lead to tragedy and despair?